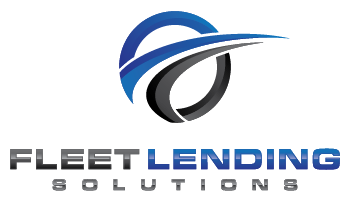 At Fleet Lending Solutions, we want to help your business succeed because when you make money we make money. Sometime bad credit can be a deal-breaker but other times it is just a costly roadblock. The most simple advice that we can offer about bad credit is this: fix it or get comfortable with high rates. We understand that bankruptcies, divorces, illnesses, or youthful indiscretions can blindside your credit. The best way to stop your bad credit from getting worse is to take every step you can to pay off old debts and make current payments on time, every time. Without devoting yourself to fixing your credit you won’t just lose money, you could also lose out on opportunities at better jobs and the ability to further finance your business. Long term bad credit is a choice and one that shows lenders you may not be serious about changing your ways, so start making an effort as soon as possible. It isn’t an easy trip back to good credit, but it’s worth it! When you’ve cleaned up your credit, contact us at Fleet Lending Solutions to find out how we can help you finance the commercial equipment your business needs to remain competitive. That's right it's free! CreditKarma.com is the best thing going out there today. Once a month it sends you an update on where your credit score is sitting with 2 credit repositories, Transunion & Experian. We have found the score if usually within 10-15 points of our credit reports. It does lag a little bit but it FREE! Also, each month it will tell you what you can do to improve you score.